All three henges would have been roughly the same size with the outer diameter of the bank being between 240 and 275 metres and standing some 3 metres in height. 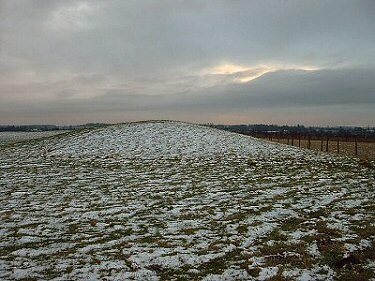 A 12 metre berm separated the banks from the internal ditches which were each about 20 metres wide and 3 metres deep while all three henges had twin entrances to the northwest and the southeast. The northern henge is probably the best preserved as it is covered in a small plantation. It still has a high bank and deep ditches with the two entrances both clearly defined. The central henge is the most accessible but its banks have been badly damaged in places and there is little trace of the interior ditch. It is interesting to note that it stands over an earlier mile long cursus which ran in a northeast to southwest direction. The southernmost of the three monuments is badly damaged but it is still recognisable as a henge structure and the banks are still wide although not very high. It is now thought that the banks of the henges would have been covered in gypsum crystals, making them glitter in the sun and perhaps echoing the chalk earthworks of the south of England. 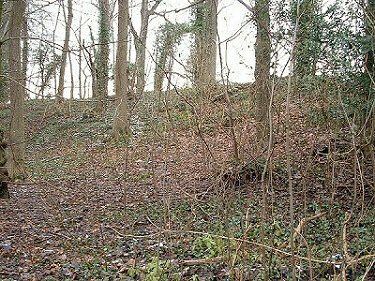 Later the area became a focus for activity in the Bronze Age and around two dozen round barrows were built on the land around the henges.